No matter what the culture or cuisine, sharing a meal with others is one of the best ways to break down barriers. Enjoying food is common to, and essential for, all of us as human beings. No matter what the culture or cuisine, sharing a meal with others is one of the best ways to break down barriers. Manna Food Center has begun a “breaking bread” conversation series to help solidify common values necessary to successfully com bat hunger. 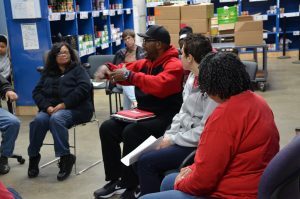 In 2015 we began creating space and intentional conversations to nurture dialogue around critical issues, such as race, class, and a culture of dependency, that create or contribute to hunger and food insecurity in our community. 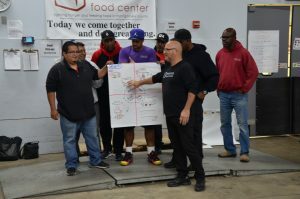 Elements of Breaking Bread’s approach have drawn from Harvard’s School of Education and were facilitated by our friends at the Jeff Miller Consulting Alliance and Trusted Space Partners. Funding for our work comes from the Samuel and Harriett Miller Fund, in memory of Jeff’s parents. Our conversations have inspired greater unity and determination among Manna’s staff. Breaking Bread’s dialogue is urgently needed and we’ve committed ourselves to a series of activities designed to help us build connections across lines of difference. Doing so will help Manna be more effective in fulfilling our mission. In the community, the crisis mentality of recent recession years is fading, and hunger within our otherwise affluent county is easily camouflaged. That is why Manna has expanded Breaking Bread gatherings to include those we serve, Board members and a range of community supporters and decision makers. 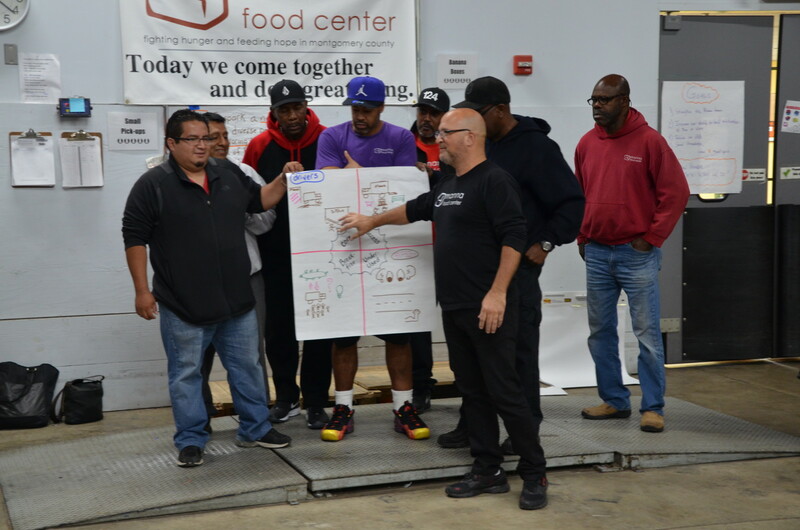 Our project helps those gathered understand our participants’ ever-changing needs and, perhaps more importantly, their significant untapped potential. Manna hopes to spark new networks as we come together as a community to promote self-sufficiency and share prosperity.